Ideal cat owners who want to protect their furniture while fulfilling their cat’s natural instinct to scratch and lounge. Includes Natural catnip, grown in the USA. 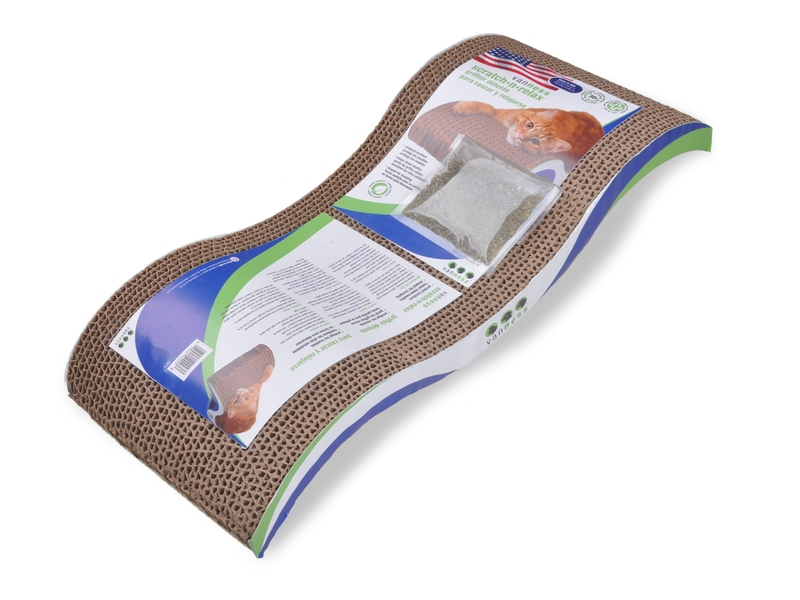 Give your cat a way to relieve her natural instinct to scratch (and a way to get some exercise) without destroying your furniture by providing her with a Van Ness Scratch ‘N Relax corrugated scratch pad. The Van Ness Scratch ‘N Relax cat scratch pad is made from 100% recycled corrugated cardboard and doubles as a cat lounger. Our premium quality scratch pad includes 0.5 ounces of Natural Fresh Nip® catnip and is sure to become the centerpiece of one of your cat’s favorite activities as well as the perfect place for a nap. Made in the USA.